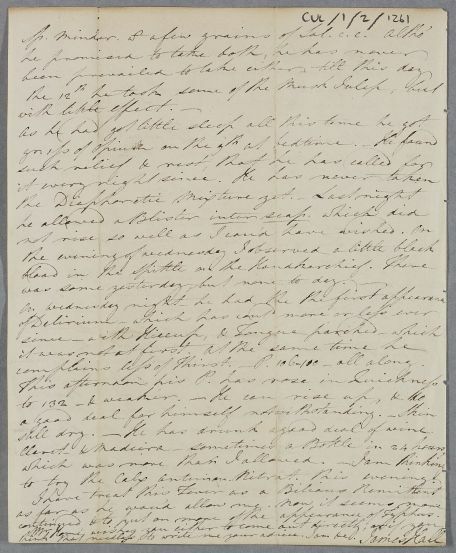 Letter from James Hall concerning the case of Mr Graham, a friend of Mr Home of Wedderburn, who was 'seized [...] with symptoms of what he reckoned his old Bilious Disorder' after travelling overnight. 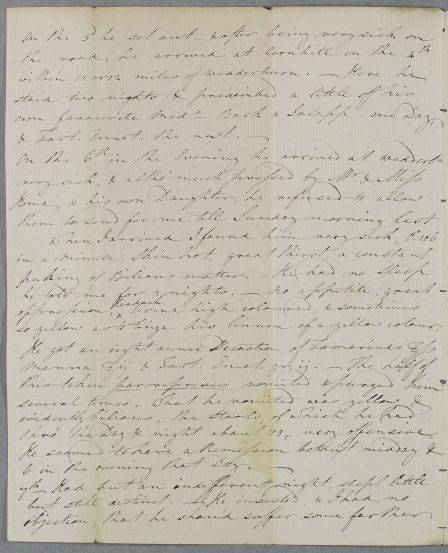 Summary Letter from James Hall concerning the case of Mr Graham, a friend of Mr Home of Wedderburn, who was 'seized [...] with symptoms of what he reckoned his old Bilious Disorder' after travelling overnight. 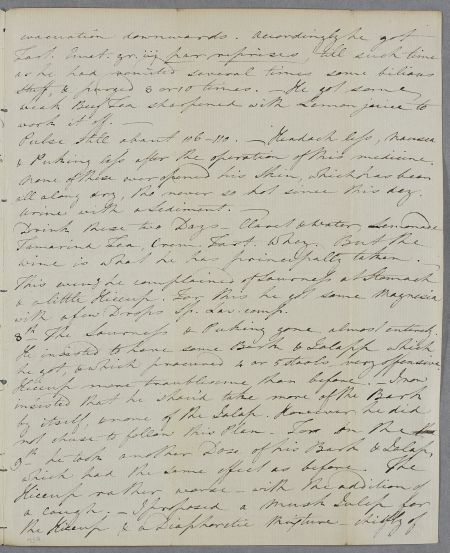 Case of Mr Graham of Dougalston, (father-in-law and guest of Patrick Home of Wedderburn) whose health was ruined in the West Indies and who has had a very serious bilious attack after an over-night journey which Cullen believes is largely through his own doing and may well prove fatal. them to send for me till Sunday morning last. 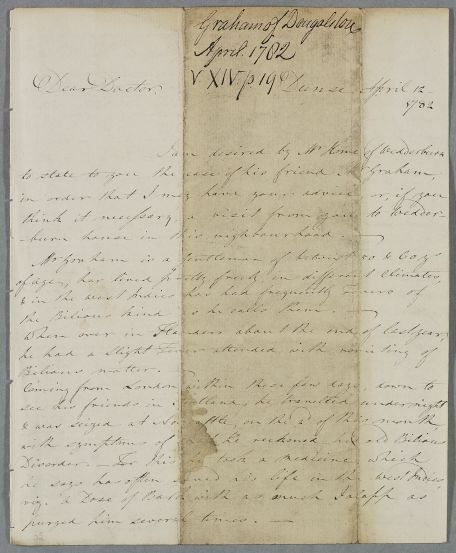 so yellow as to tinge his linnen of a yellow colour. thro' the Day & night about 15, very offensive. & Puking less after the operation of this medicine. all along dry, tho never so hot since this day. 8th-- The Sourness & Puking gone almost entirely. he got, & which procured 4 or 5 stools - very offensive. complains less of Thirst. - Pulse 106-110 - all along. to try the Calx Antimonial Nitrate this evening. continued & to put on more of the appearance of Typhus. think that needless, to write me your advice. I am &c.
with a few Drops Sp. Lav. comp. complains less of Thirst. - P. 106-110 - all along. to try the Calx Antimon. Nitrat. this evening.